There’s a new Sunday get down in town. Contrary to what the name suggests, you won’t have to venture far off the beaten path or pack a towel. 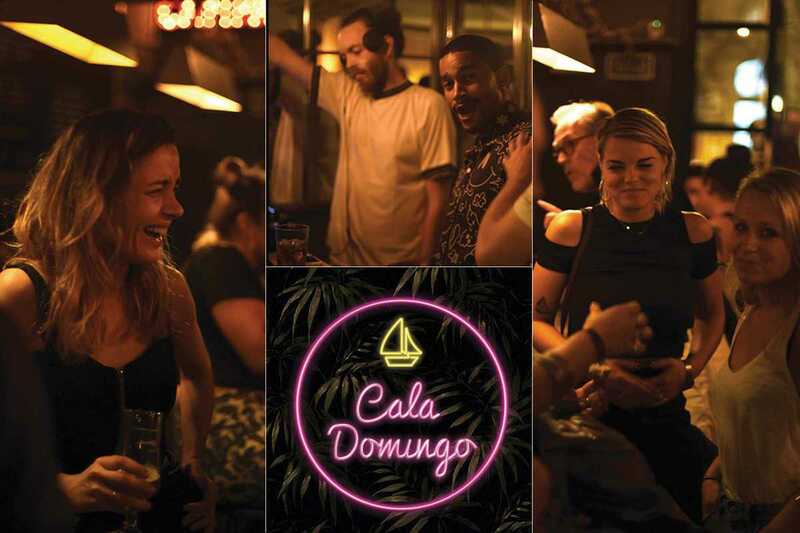 Resident DJs The Fog and Lil’ Yeti fade out the fear with a Sunday afternoon soundtrack of afro synth, yacht rock, MPB, tropical disco and all manner of serotonin-regenerating sub-genres at Cala Domingo. Recent guests include local selectors Yann Eras, Deckard and Kebap House. The residents moor in different venues throughout the year, with events so far taking place in Bitter Cocktail Bar and Juanita Lalá. Spontaneous Sunday partying has not always been well catered to in Barcelona despite the city’s 24/7 reputation. This is thankfully changing, with a few low-key events starting to pop up. Sure, there is a wealth of options from midnight onwards, but this soirée fits perfectly into that non-committal Sabbath slot as you fight the tide of temptation to stay out for just one more.